The standard approach to code reuse in object oriented languages is via inheritance. This is restrictive in a number of ways. For example, it leads to well known conflicts between subtyping and subclassing. Furthermore, where no type relationship exists, programmers must resort to inefficient techniques such as delegation to achieve code reuse. 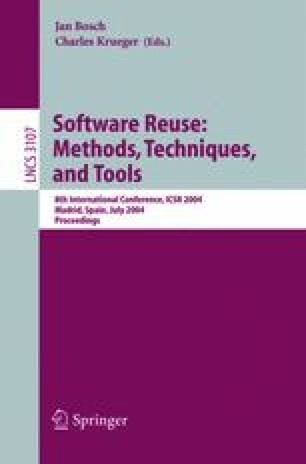 In the paper it is described how the language Timor decouples subtyping and code reuse and presents a new concept known as reuse variables, showing how these can be used to eliminate such restrictions in object oriented and component oriented contexts.